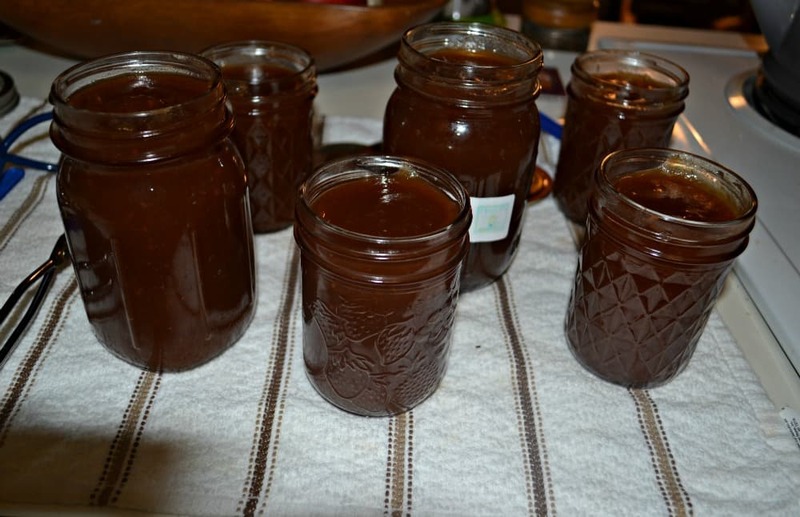 Apple butter is always one of my favorite fall and winter condiments. I like eating it on toast, with muffins, and I even bake with it. There’s something about the apple flavor mixed with spices that gets me every time. 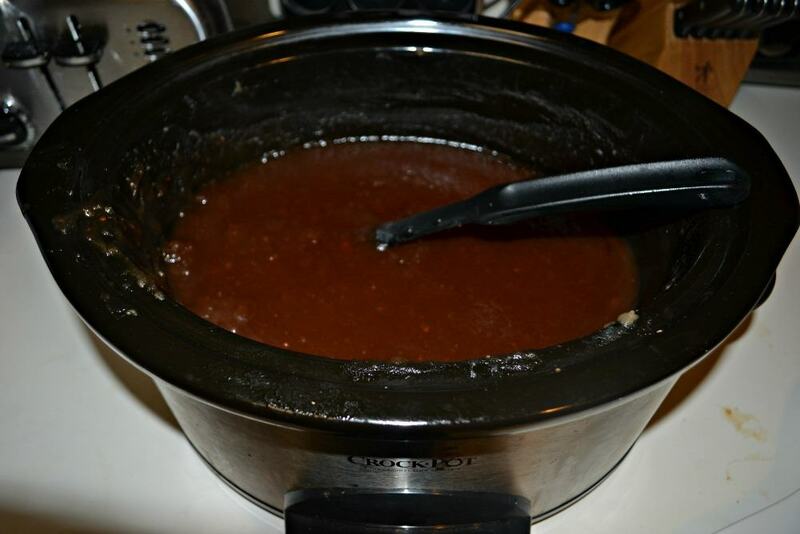 In the past I have made apple butter on the stove but I have a hard time getting it to thicken up as much as I would like. 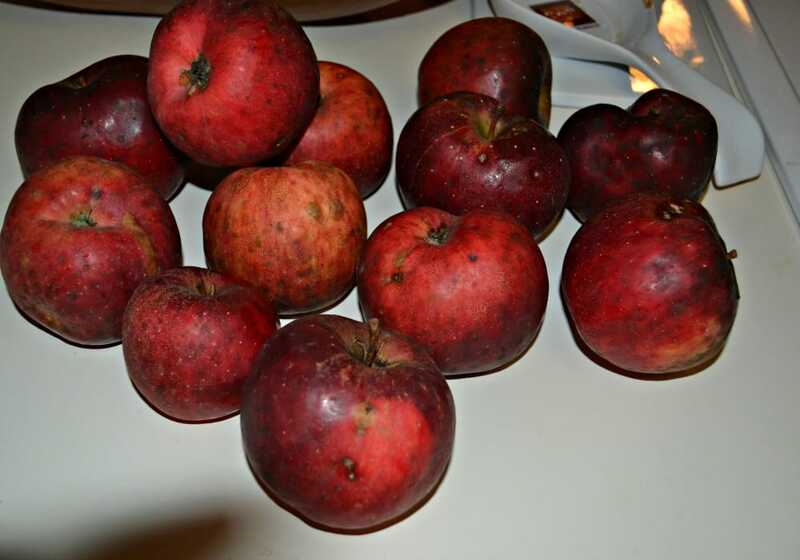 So several weeks ago another teacher at school brought in close to a bushel of apples to use for a game with her class. After the game was over I approached her and asked if I could purchase the bruised apples. She looked at me like I was nuts. I explained to her that I like to can them and bruised apples are just fine. She told me that I could just have them as she was just going to give them to the deer. I brought them home and they sat on my counter for several days while I decided what to make with them. I wanted to make apple butter but I didn’t want to hassle. 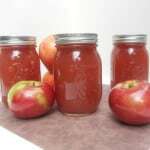 I started looking around and saw a recipe for canning crock-pot apple butter. This was definitely more my style! 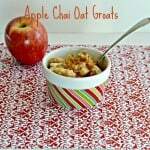 I prepared the apples and got them into the crock-pot. I peeled most of them but a few I left the peels on. Then I added water, a bunch of cinnamon sticks, and some other spices. I let it go for about 4 hours before putting in a food processor. 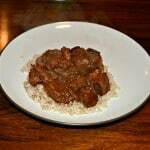 After that I put it back into the crock-pot for 4 additional hours with some more spices. The apple butter ended up looking amazing. It was the perfect thick consistency. It was sweet and spiced and tasted of fresh apples. All I had to do was put it in a boiling water canning bath and I ended up with several half pints of fresh apple butter to eat all winter long! 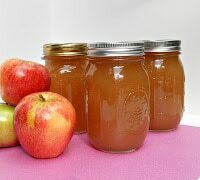 Easy to make Crock-Pot apple butter is spiced with cinnamon, nutmeg, and ginger then canned to enjoy all year long. Peel, core, and slice your apples. Place them in a crock-pot. Add one cup of water and cinnamon sticks then turn the crock-pot on high. Cook for 4 hours. Remove the apples to a food processor and process until smooth. 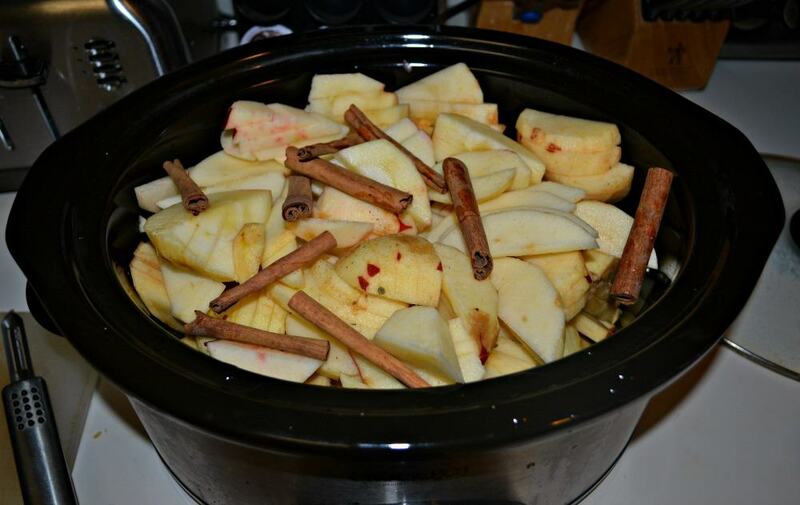 Place the apples back in the crock-pot and add the brown sugar, cinnamon, nutmeg, and ginger. Cook for 4 more hours or until the apple butter is thick. Prepare a boiling water canner and 8 half pint jars. Pour the apple butter into hot jars leaving ½ inch of headspace. Wipe the rims and place the lids on the jars. Tighten the screwband to fingertip tight. Process in the boiling water canner for 10 minutes. Remove from heat and remove lid. Allow to cool 5 minutes before removing from the canner. Allow to cool 24 hours. Check to make sure the jars sealed and store for up to 1 year.